This restaurant is permanently closed. Located in the bustling Southern Baltimore's Federal Hill, Rachel opened its doors in late 2016. 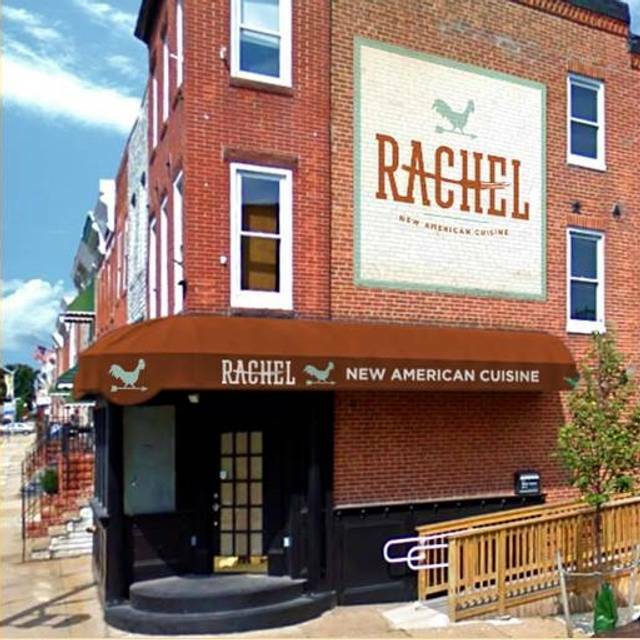 Rachel is dedicated to creating a new category of neighborhood restaurant that merges the local farm-to-table food with affordable pricing, while delivering superior hospitality. We can do buffet style, al la carte, and mixed dining experiences. Our menu items make a great starting point for ideas, but with the Rachel team the sky is the limit. From 9 course dinners with wine pairings to pick up trays for a football party, there is nobody better than Rachel! We love doing corporate lunch time deliveries or pickups, weddings, birthdays, anniversary and more. Worth the drive but the parking was terrible on a busy Saturday night downtown. We love rachels!!!! The staff is awesome and the food is always good! Nice neighborhood restaurant/bar. Cozy, casual, feels local. Food was good, not outstanding. Nothing very memorable, but comfortable none-the-less. Visiting Baltimore and looking for a local owned food establishment instead of a chain restaurant. Found it at Rachael’s !!! Outstanding food, great and patient server and nice ambiance! Beautiful and fresh salad with house made dressing. Enjoyed the Salmon with Brussel Sprouts and Brined Chicken Breast dinner... both were outstanding meals! We will be returning to Rachel’s our next visit to Baltimore! Took my sister there for her birthday....it was the first time either of us had been there. We both enjoyed our meals and said without a doubt we'd be back! Cutest place with AMAZING food!!! Amazing brunch. Great drinks and food. Definitely recommend!!!! They were very accommodating on my birthday dinner. The food was great. Food outstanding and excellent service as always. The staff is extremely welcoming, the place is adorable, and the food delicious. We shared the chopped salad, and I had the delicious polenta. My husband had the burger, which despite being two patties, was light and came with a flavorful slaw. I can’t wait to return. Great time. Food was outstanding. Server was great. The restaurant itself was very nice. We went for restaurant week and opted for the 3 course meal they were offering for $35. First up were the shrimp fritters. They tasted like an artificial seafood cake out of the frozen food section at your local grocery store. Steak medallions with fingerling potatoes and roasted brussels sprouts were the main course. This dish was great the only thing I would suggest is cooking the brussels sprouts slightly less since they were almost crushed up on the plate and difficult to eat. For a dessert, the double chocolate cake . This left much to be desired and nothing "double chocolate" jumped out to me at all. Thoroughly enjoyed the restaurant week menu but the prices are a little upscale for the area. I've been here a few times now and I love it more and more every time! The service is just always over-the-top awesome. 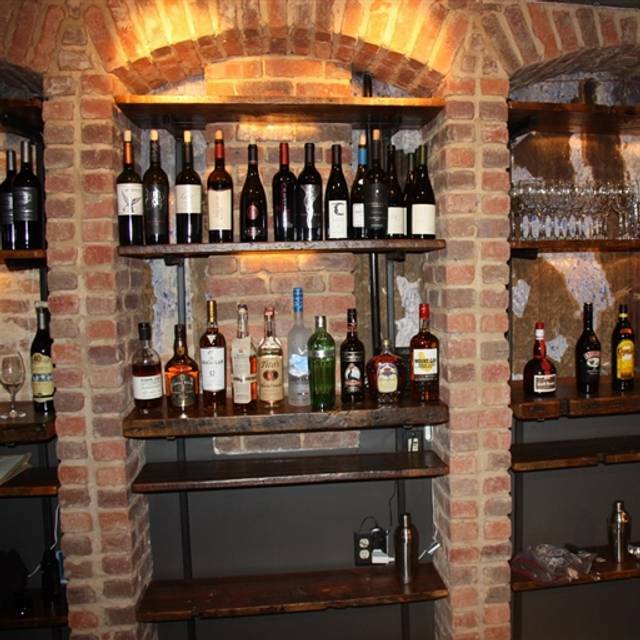 The servers and bartenders are friendly, conversational, and knowledgeable, and the food is beautiful and tastes fantastic! It's a great spot for casual bar seating, date night, getting together with friends...really whatever you're looking for. We had dinner during Baltimore Restaurant Week so we chose from a more limited menu. But the choices were varied and we had no problem finding something we liked. The food was delicious and very nicely presented. Again, because of Restaurant Week, it was very crowded and the noise level was high. We will definitely return. Baltimore restaurant week was the perfect time to try our Rachel. Great food and the staff was super friendly and funny. Will definitely be back. Ian behind the bar was great! Excellent service, excellent food - the scramble was great, but next time I’ll ask for multigrain toast to the side instead of what I assume was challah - it was kind of soggy under the eggs and I prefer my toast crisp (and multigrain). Second visit and found the menu just as interesting and fit for a variety of dietary requirements. They were willing to adjust the ingredients to meet our dietary restrictions. Walkable for Federal Hill, Harborview, and Riverside Park residents. Well prepared and presented dishes to satisfy even the picky. An alcove for a small group two steps above the main dining room lends a little privacy for special occasions or business meeting. Bar seating is available and appeared to be quite sociable for those who choose the less formal dining or didn’t want to eat alone. Food was very good and service was excellent.Our waiter’s name was Josh, probably still is.Great attitude. Very friendly. We were a large group celebrating several birthdays, As such we did the sunday Brunch and asked for the upstairs room. We had it to ourselves and thus very quiet and easy to have a conversation. It was a perfect meal and place for the event. Rachel's offers great food in a cozy neighborhood restaurant. The chef/owner Barry knows his stuff and loves to talk food. We ordered the duck breast in a blueberry barbeque sauce and although would have liked the duck skin crispy I found the flavors delectable, ( I think barbeque sauce is misleading because it was finer than those words imply). our other entre was an exquisite rib veal chop, expertly prepared. The shrimp fritters were excellent and paired well with the beet salad. So fun to share. The meal overall was good, but I felt as if the Chef has some sort of identity crisis. The food was all over the place. Plus the waiter was painfully awkward. The menu options were ambitious and trendy but poorly executed. Service was good, but my party was 1 for 3 in appetizers and 0 for 3 in entrees. Excellent dinner and service was extraordinary! Josh was our waiter and he was fabulous! Looking forward to going back soon. A nice hidden gem. Everything was fairly good. Would recommend for a casual dinner. Good solid meal with outstanding service. If you sit in Josh's section you are lucky, he is a great and skilled server with the patience of a saint! Five of us went for brunch, it is a small place and it wasn't full. The waitress was very nice but the service was lacking and I even saw the chef bring out one tables food! It took way too long for drinks though the Iirish coffees were Strong! The eggs on the benedicts were way over cooked but the 2 people who got them seemed to think everything tasted good. The chicken and waffles were good but only because the chicken was perfect and the limited amount of sauce was delicious, the waffle was EH! Would I go back for brunch, probably not. This was our first visit. We were impressed with the variety of options on the menu. The scallops are great as was the chicken preparation in the Chicken Milanese entrée. However, the pasta accompanying the chicken was very salty. Service was very good. Tables are a bit close together, so not a great place for an intimate dinner. Food was great. I think lack of a hostess was overwhelming for the staff when we arrived. Love the donuts! Loved the pear fizz, shrimp fritters and Rachel sandwich; creative flavors, everything delish with great service. The food was beautiful and delicious! Our server, Josh recommended some great meat and cheese options for the charcuterie and amazing entrees! Great food and great service...I'll definitely be going back again! Red wine priced between $66 and $225. None by the glass. I would recommend the place to friends, but always with that warning. Everything else was great.